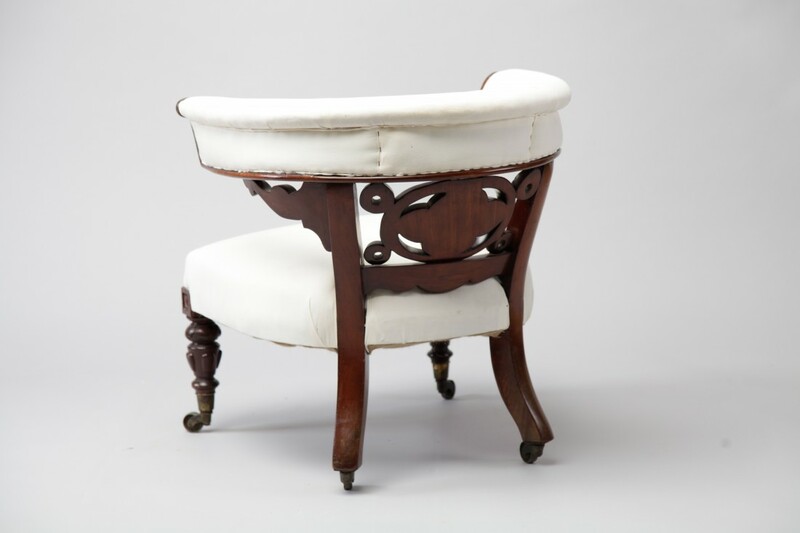 A 19th Century Cuban mahogany carved desk chair. Ornate carved arm faces and back upright in gothic style with original castors. Exquisite quality. The frame has been completely restored which includes re-dowelling, re-gluing and new corner blocks, hence why we offer a 40 year construction guarantee. 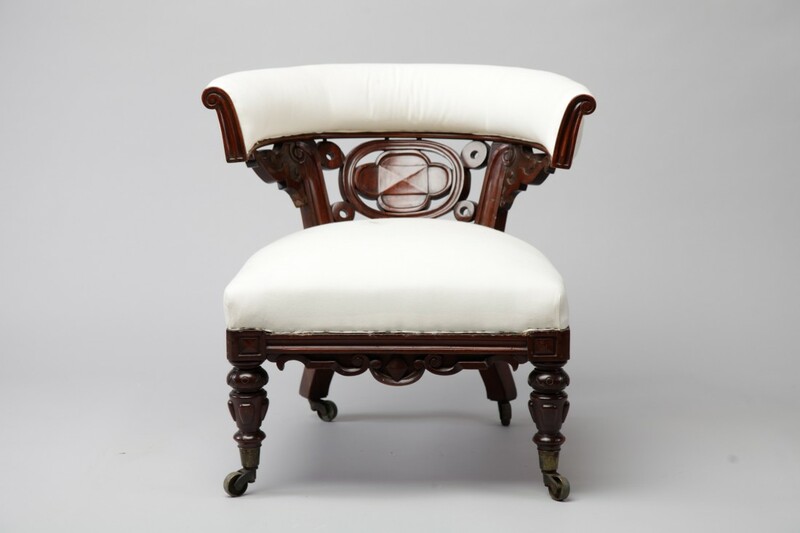 The upholstery is truly traditional, double English jute webbed, individual copper cone springs that are 8 hand tied with hessian overlaid, coconut hair, fine and coarse hair with a layer of wool wadding. All our top covers are fully patterned match and the outside edges are hand slipped stitched. You will require 2.5 metres of plain fabric or 3 metres of patterned fabric. You can supply your own fabric or we have over 20,000 fabrics from all the major fabric houses and we can sample a selection for you. 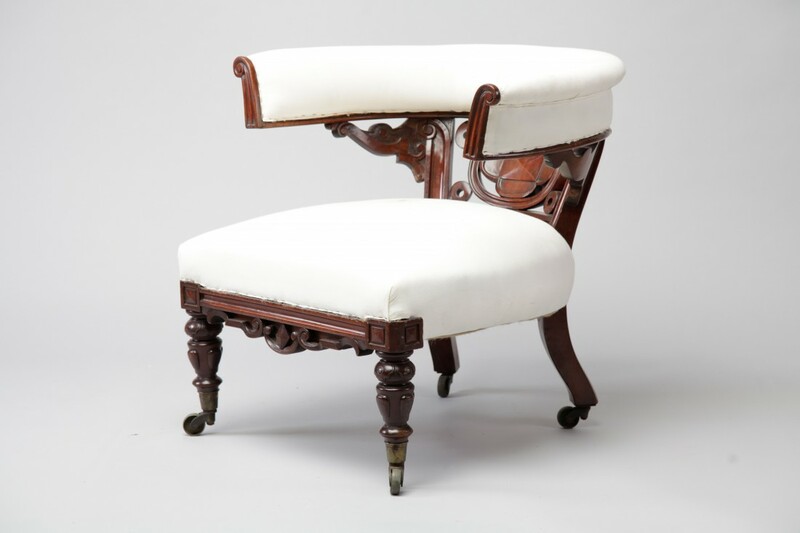 To ask a question about the Mahogany Desk Chair click here. We'll email you the answer as soon as possible. If you have a question about the Mahogany Desk Chair, fill in the form below and we'll email you the answer as soon as possible.